Dr. Kaniewski completed her general surgery residency at Georgetown University Hospital, Washington, D.C., and her Laparoscopic Surgery Fellowship at Baylor College of Medicine, Houston, TX. Dr. Kaniewski has been performing laparoscopic weight loss surgery for 15 years and is the Director of the Bariatric Surgery Program. MISH is a Metabolic and Bariatric Surgery Accreditation and Quality Improvement Program (MBSAQIP) Comprehensive Accredited Center. Dr. Sabharwal performed his general surgery residency at John Hopkins Hospital, Baltimore, MD and at Georgetown University Hospital, Washington, D.C. Dr. Sabharwal has been performing laparoscopic weight loss surgery for 15 years and is the Surgery Division Chair at MISH. The hospital’s weight loss surgery program is a Metabolic and Bariatric Surgery Accreditation and Quality Improvement Program (MBSAQIP). 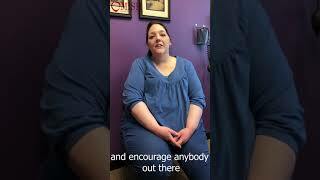 Why MISH Hospital is the best weight loss surgery hospital in KC. Why pick MISH? Watch April's reason on why she continues to pick MISH after losing 300lbs. Make sure to like, follow and share our page to see more amazing stories like April. Call us at (913) 730-1771 today to start your own weight loss journey. This past year James has lost over 175lb and walked his first 5k. Today we would like to share with you why he decided to get weight loss surgery and why diets didn't work for him. Congratulations on all your accomplishments this year and we can't wait to hear more of your journey. 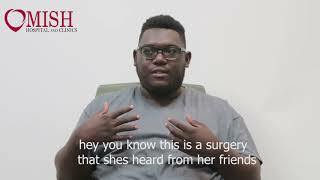 We had the opportunity to sit down and talk with Moustapha on why he has decided to have weight loss surgery and what this surgery means to him. Hey everyone! We got the chance to sit down talk with Silvia and see how she is feeling 1 week since her surgery. Last week, Katrina stopped in for her one-week follow up appointment after surgery. Watch the video to see how she is doing! 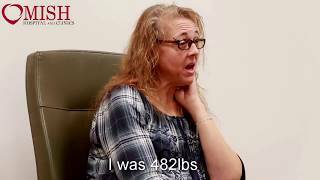 Jessica was turned away from another hospital for a digestive condition only to find health and weight loss success at MISH.